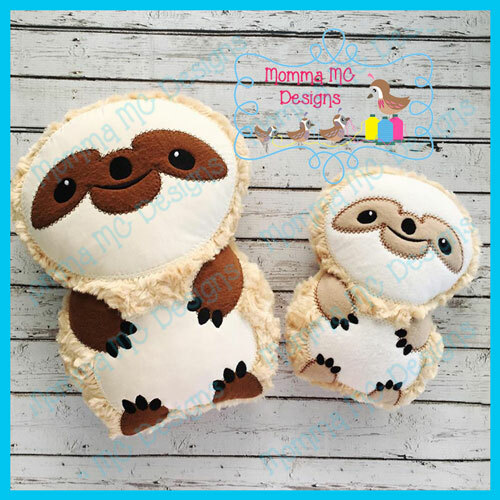 Make your own adorable Sloth IN THE HOOP! Just one hooping, and VERY easy! 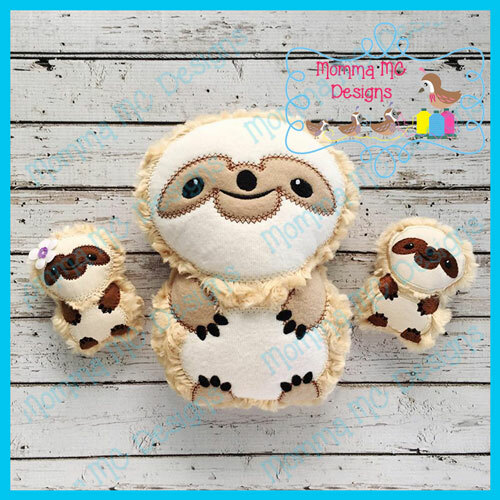 The Sloth Softie comes in multiple sizes to fit many hoops: 4x4, 5x7, 6x10, 7x12, 8x12 and 12x14. The 12x14 size has only ONE option – all areas are applique with a diamond stitch – no satin stitch option is available for the 12x14 hoop. A photo tutorial and stitch maps for all options are included.